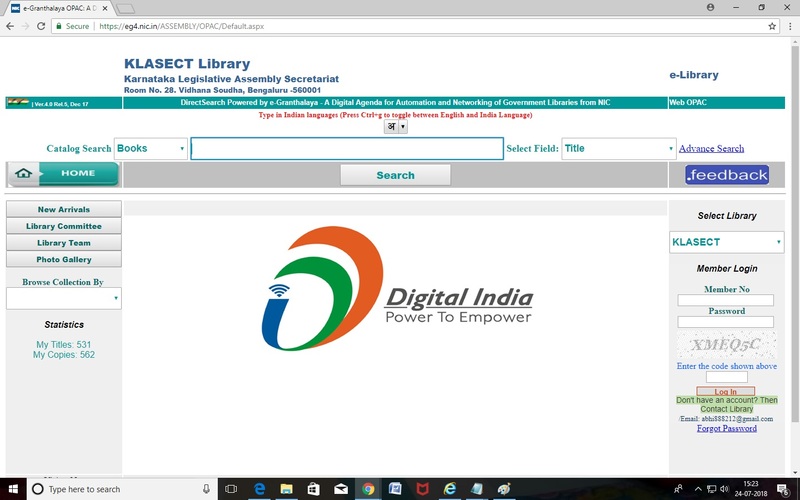 Karnataka Legislature e-Library catalogue of Books/Reports, etc are available on the following URL & anyone can access the catalogue by sitting at home through internet. Type the author's name (preferably the author's surname) in the search box. 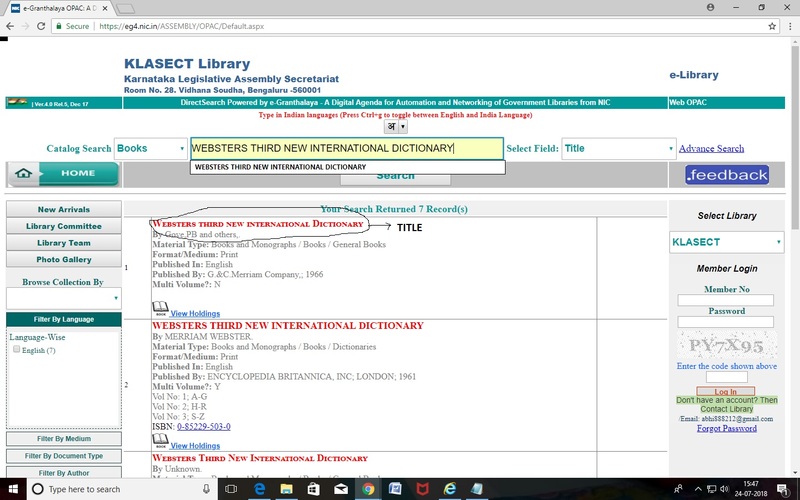 Narrow down the search by clicking on the icon for "AUTHOR" to indicate that you are searching for an information source through the author's name. In the example provided we will use the author Venkatesh Mudagulkar. If they are many authors by that same name then there will be many books in the results list. To select the one you want just click on the title. The details of the book will the displayed.